We are so fortunate to have such an amazing Zoo and are super excited that they have been recognized at the Top 30 Zoos in the US!!! Something for everyone in the entire family! Feed the Giraffe's, take a gentle kayak ride thru the safari or watch the feeding of the Alligators and Crocodiles. The kids are going to love the Paws On Park, especially in the summer where they can cool off in the splash zone! The hands on petting zoo is always a favorite but the conservation area is a great place for fun learning too! If you love adrenaline, make sure to check out the Treetop Trec and zipline over the Alligators! And the Brevard Zoo also has conservation programs including a Sea Turtle Healing Center! If you are looking to host an event, you must check out the Nyami Lodge! Overlooking the Giraffe's our agents love when we have our events here!!! There are always great events going on at our Zoo as well so be sure to check out their events page and since it would be hard to do everything in one day, make sure to check out those Yearly Passes too!! 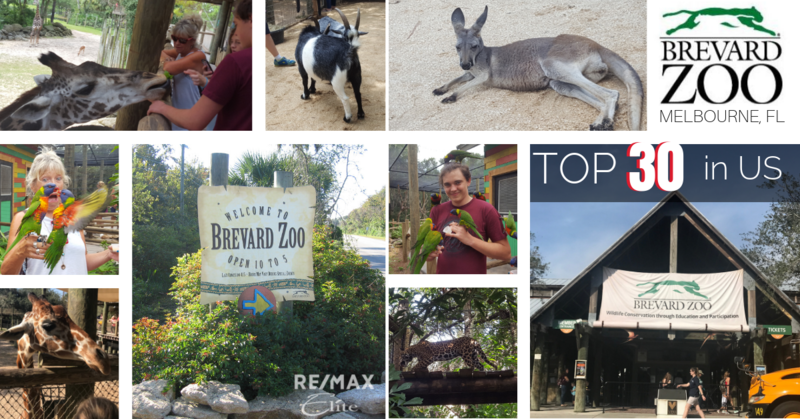 Check out the Brevard Zoo's Behind the Scene Blog here! Check out the Top 30 in US list and article here!